The simulation stopped because the solver iterated 1000 times but could not reach the specified tolerances in the particular time step. 1- The mesh could have illegal/bad cells that are causing problems. 2- The flow variables reached extremely large or non-physical values. This could be caused by either incorrect boundary conditions or severe inflow/outflow conditions. 1-) Please see the ‘Meshing Log’ under the ‘Mesh Operation’ for any errors in the mesh. Further, Also inspect the meshed body/surfaces visually to make sure there are no distorted cells near the surface. 2.1-) Make sure the Boundary Conditions are correct and have appropriate values. Please see Boundary Condition Documentation for details. Futher, see the sample Tutorials or Sample Projects for reference. 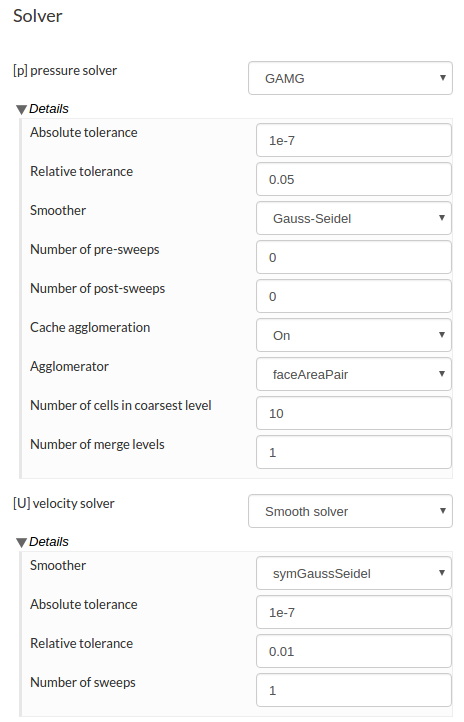 Lower the Solver tolerances e.g ‘absolute Tolerance = 1e-7’ and ‘relative Tolerance = 0.05’ or use default ones. 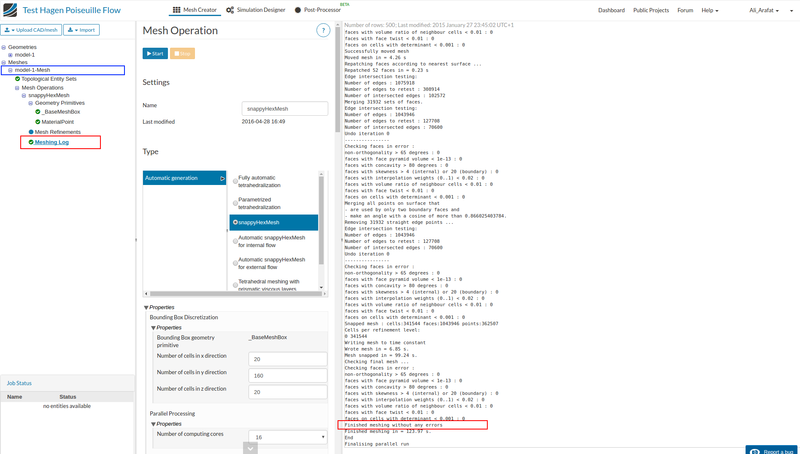 In case of a transient simulation use ‘Automatic Time Stepping’ under “Simulation Control” and change ‘Number of outer correctors’ under “Numerics” to at least 4. 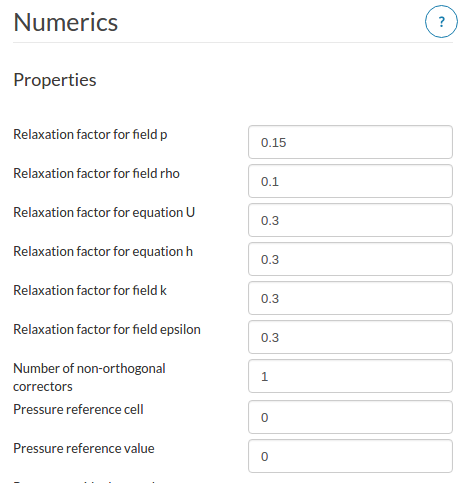 2.3-) If the flow conditions are severe e.g high inlet flow ‘Velocity’ or ‘Pressure’, try to ramp the values for the first few hundred steps using “Table Upload” (see TableUpload for details) option in boundary conditions.